Through the years, Citroën’s ability to draw inspiration from various ways of life and to offer trendy solutions remains unmatched. Their “Inspire by You” campaign is clearly evident in their new Citroen cars lineup. Until recently, it was not a common thought to consider the needs of the driver and the passenger in a delivery vehicle. Creature comforts were secondary when designing a delivery vehicle. Manufacturers focused more on the practicality and usefulness of a van. All that is about to change. Just this year, Citroën announced that they will release a new all-electric variant of its Berlingo van. If you are a small business owner looking for something that is proven and trusted when it comes to utility vehicle lines, the new Berlingo van is definitely worth trying. Now with added infotainment technology such as Apple CarPlay and Mirror Link and additionally included security tech, the new Citroen Berlingo van is much more appealing than the previously excellent model. This new Berlingo Multispace van has a restyled front bumper but is still very recognisable as a Citroen Berlingo. The twin features for the updated Berlingo series takes advantage of new infotainment functionality and enhanced safety considerations. It is very easy to get a style that fits your lifestyle or business. You can also try the new C4 Picasso and drive it around Brisbane area. The new series also has Airbump® panels, at the base of the door to help protect your car from any damage. Before you buy any Citroen cars, make sure to drive test to your heart’s content so you will get a feel of the ride. Choose a vehicle that has comfortable seats for better lumbar support when driving on long distances. 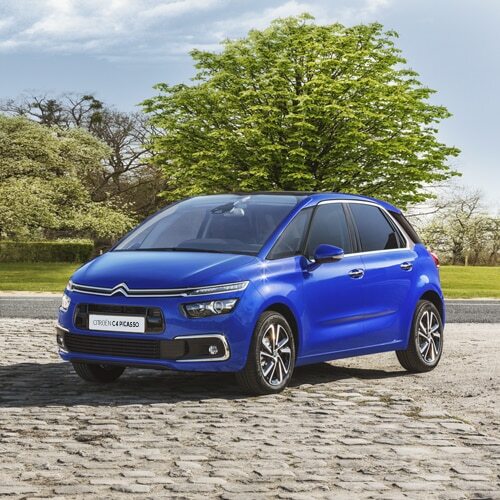 Citroen cars are included into Performance Drive’s Top 10 Most Economical Cars in Australia. Not all brands could be part of that list unless it is proven and tested by experts. However, you still need to use the right motor oil to enhance the car’s performance and efficiency. Checking your user’s manual will help make sense of which to oil type is ideal for your Citroen C4 Cactus diesel, C4 Picasso or the all-new Berlingo van. Using the wrong oil type may make the engine work harder and consume more fuel. Make an effort to visit actual dealerships when looking for a car. Recently, most customers simply use websites to ask on new Citroen deals, however, not all information is found on a website. It is better to talk to a certified Citroen dealer so your questions will be addressed in person. If you are looking for a used but still fuel efficient car in Brisbane area, you can visit recommended Brisbane used car dealers and ask for a quote. Search for a car that is fuel efficient as well as a car that meets your requirements.